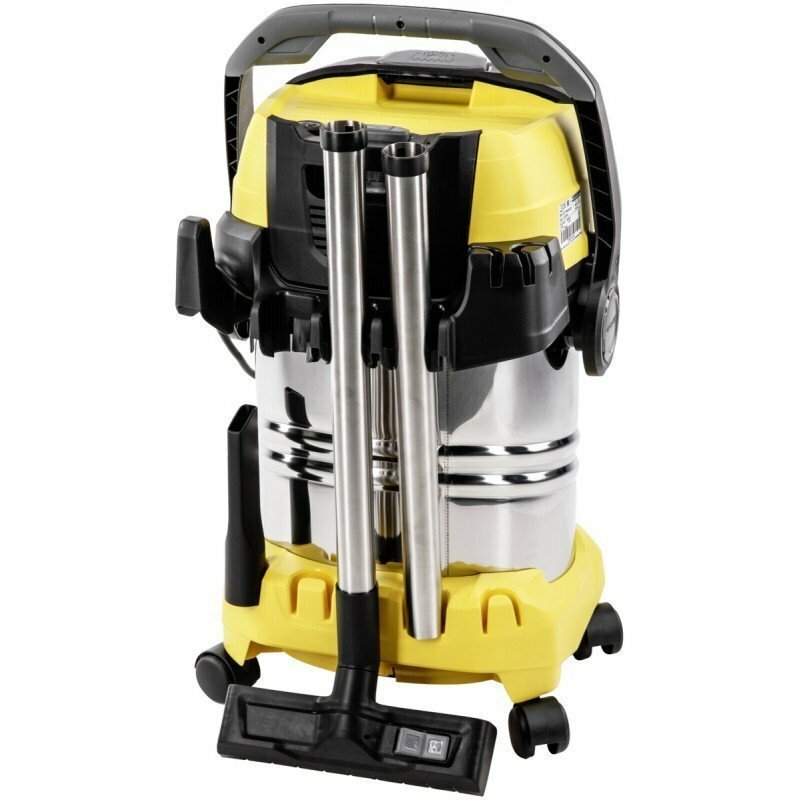 Featuring an impact resistant stainless steel container and innovative filter removal technology, this high end vacuum removes all types of dirt on any surface. Innovative filter removal technology Blower function helps whenever vacuuming is not possible Easily empty out water with the drain screw Convenient cable and accessory storage Includes numerous nozzles that can be attached to the suction hose With a high suction performance of 2000W but an actual power consumption of only 1300W Karcher WD 6 Premium Multi-Purpose Vacuum Cleaner is both powerful and energy efficient. With advanced suction technology and included attachments, this vacuum cleaner delivers incredible cleaning results on both dry or wet dirt. Enjoy superior cleaning and empty the filter without any contact with dirt thanks to the simple fold out filter design. The Karcher WD 6 Premium Vacuum was added to the Vacuums category in April 2017. The lowest price GetPrice has found for the Karcher WD 6 Premium Vacuum in Australia is $329.00 from Kogan.